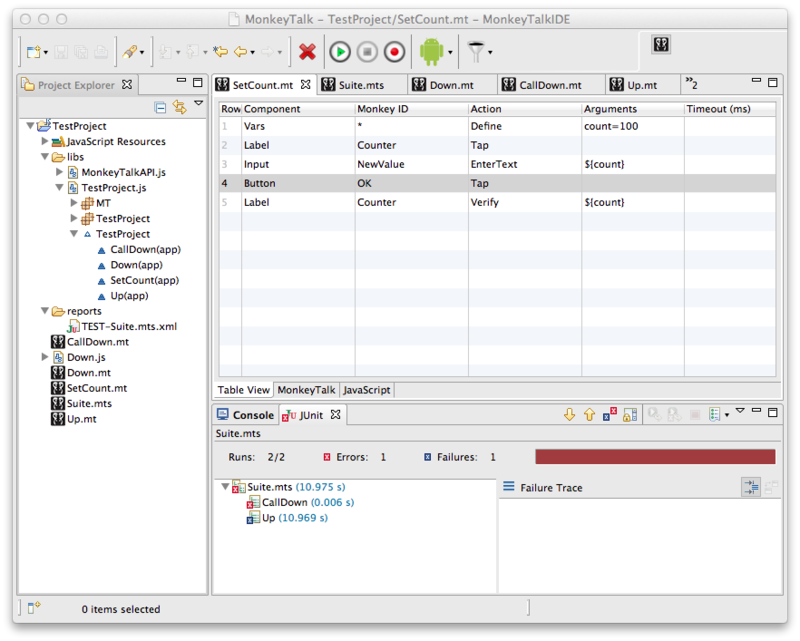 MonkeyTalk, a new functional testing offering from Gorilla Logic, allows testers and developers to generate tests for Android and iOS applications directly in an Eclipse-based IDE in order to allow the application delivery cycle to be faster and more accurate, according to Stu Stern, the company’s CEO. MonkeyTalk is currently available as a beta offering. Gorilla Logic recommended that Android testers upgrade immediately, but iOS FoneMonkey users can wait for MonkeyTalk’s general release. FoneMonkey will continue to be supported, Stern said, but with MonkeyTalk, teams will now be able to use one testing tool for both types of mobile applications. “We have rewritten the tool to provide more comprehensive support for QA testers,” he said, adding that the same test scripts can be used for both platforms. Gorilla Logic’s QaaS tests and tracks the quality of applications across all platforms. Stern said teams can give the application to Gorilla Logic, and then Gorilla Logic will write the test, run the test in its private cloud and simulators, and then return the results to the team. In the future, Gorilla Logic will also have a device cloud, so tests can be run against different devices and versions for both Android and iOS. Stern said that support for Web applications will also be added, as will support for additional scripting languages such as Python and Ruby. He said Gorilla Logic is driven by the open-source community, which helps determine what features are rolled out next.